Buy a $50 Applebee’s Gift Card for $39! How about grabbing one of these gift cards and saving some money on your next date night? I love Applebee’s. It’s a great choice! Maybe think ahead to holiday gift giving? Check out the GREAT price! 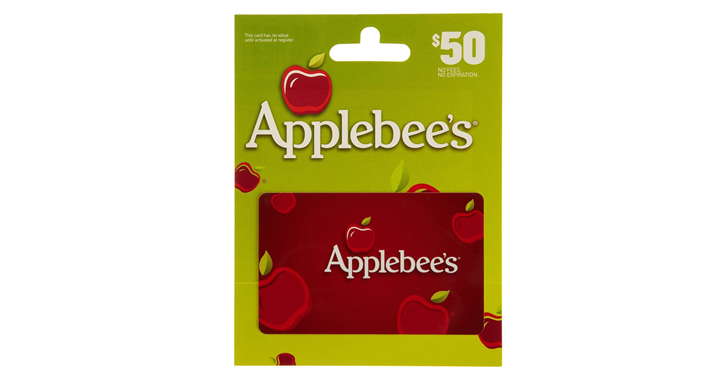 Check out Amazon’s DEAL OF THE DAY – Today only, Buy a $50 Applebee’s Gift Card! Priced at just $39.00!